1. How does scientific inquiry answer questions about the living world? 2. How do observations lead to scientific inferences? 3. How do scientific processes lead to a greater understanding of the natural world? 4. How can data be analyzed to determine the outcome of an experiment or set of observations? 5. How do scientists share information and build upon the work of others? 1. What properties are found in all living things? 2. How do scientists know when something is a living organism? 3. How are living things classified? 4. How do living things maintain homeostasis and why is that important? 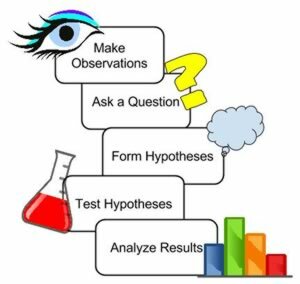 Summarize the steps of the scientific method. Evaluate data by calculating standard deviation, mean, and median. Make specific statements that demonstrate inductive/deductive reasoning; explain how this type of reasoning is used in science. Explain the importance of peer review and publication. Explain how theories are used in science, contrast to how laws are used. Compare and contrast the structure and function of a compound microscope, stereomicroscope, SEM, and TEM. Demonstrate proper use of a compound microscope in order to make observations and estimate size. Define and provide examples of each level of organization; define emergent properties. Describe the properties of life. Establish a relationship between energy , regulation, and homeostasis. Describe how organisms are grouped and named used modern classification systems (taxonomy). 1. What are ions and how are they important in biological processes? 2. How do the properties of what make it able to sustain life? 3. How does the molecular structure of a compound influence its function? 4. How do molecules form the building blocks for living systems? Describe the difference between ions and atoms and explain the important of ions in biological processes. Compare the types of bonding between atoms to form molecules. Identify subatomic particles and describe how they are arranged in atoms; be able to use a periodic table. Define isotope and provide examples of how isotopes are used in medicine and other branches of science. Explain how the properties of water make water essential for life on Earth. Compare an acid to a base, paying close attention to how hydrogen ions play a role in these types of compounds. Explain the difference between organic and inorganic compounds. Identify functional groups of organic compounds and provide examples. 1. How do atoms form bonds to create molecules and macromolecules? 2. What is the basic structure of the four macromolecules found in living systems? 3. How do each of the four types of organic macromolecules function in living systems? 4. 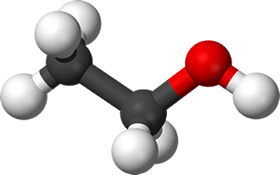 How are carbohydrates used in plants and animals as energy storage molecules? 5. How does the structure of DNA enable it to be an information storing molecule? Compare hydrolysis to dehydration synthesis with regard to how macromolecules are formed and broken down.